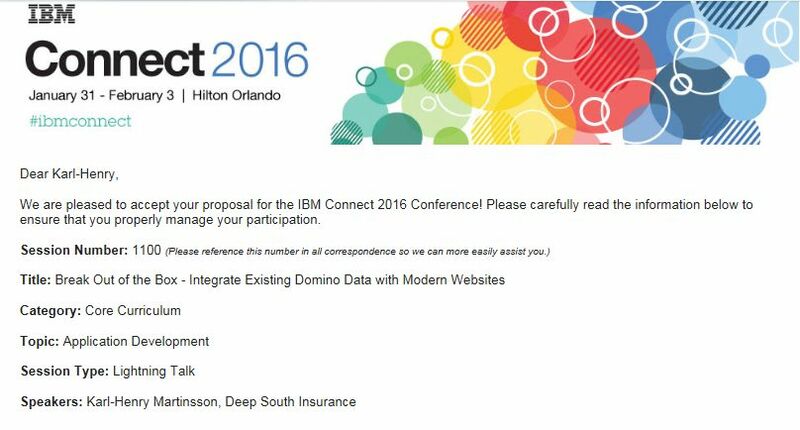 IBM Connect 2016 coming up! In the end of January it is once again time to head to Orlando for the yearly conference that for many years was known as Lotusphere. For the last few years it have been renamed IBM Connect (as well as ConnectED in 2014), and last year most people (including me) thought that 2015 was the end of this conference. 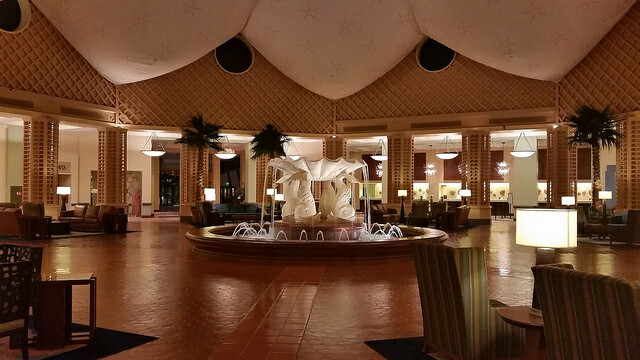 But perhaps due to the popularity of the 2015 edition, IBM decided to have the conference again this year, but in a new location as the contract with Swan and Dolphin (where the conference had been held since the first one in 1993) had expired. The new venue is Hilton Orlando. It is closer to the airport and there are also more restaurants around than at Swan and Dolphin. It is close to SeaWorld as well as to the Universal Studios theme parks. Personally I am excited about the new venue. “Swolphin” (as Swan and Dolphin often was referred to) started to get old and worn down, despite a refresh of the rooms back in 2003-2005 some time. Yes, after this many years (18 in a row for me) Swolphin started feeling like a home away from home. You know where everything is, you know the staff and the shortcuts between hotels and sections within the hotel. So a new location makes Connect 2016 more exciting, it will feel like a new conference but hopefully with many of my old friends attending. I have already found several interesting sessions using the session tool. Philippe Riand and Jesse Gallagher will for example talk about the Darwino application development platform, which allows you to integrate your Domino applications with IBM Bluemix an IBM Connections. Another must-attend session is called IBM Domino App.Net and talks about how to utilize Bluemix to build XPages applications in the cloud. 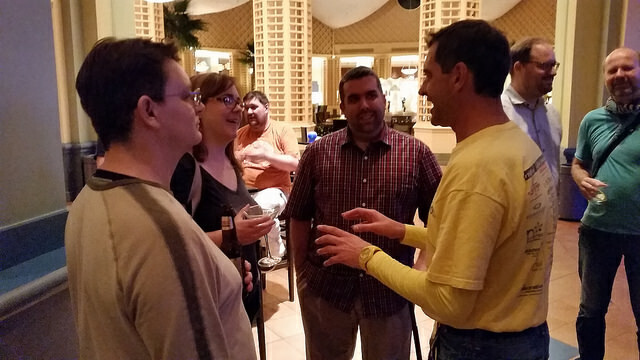 In addition we of course have all the sessions we have come to know and love: UserBlast with Mat Newman, Admin Tips Power Hour presented by Chris Miller, Spark Ideas, and of course the Opening General Session (OGS) with a secret guest speaker as the tradition requires. After the fiasco last year with the Tuesday evening special event the organizers went back to holding the event in one of the local theme parks. For the second time it will be held in the Wizarding World of Harry Potter – Hogsmead, which is part of Universal’s Islands of Adventure. 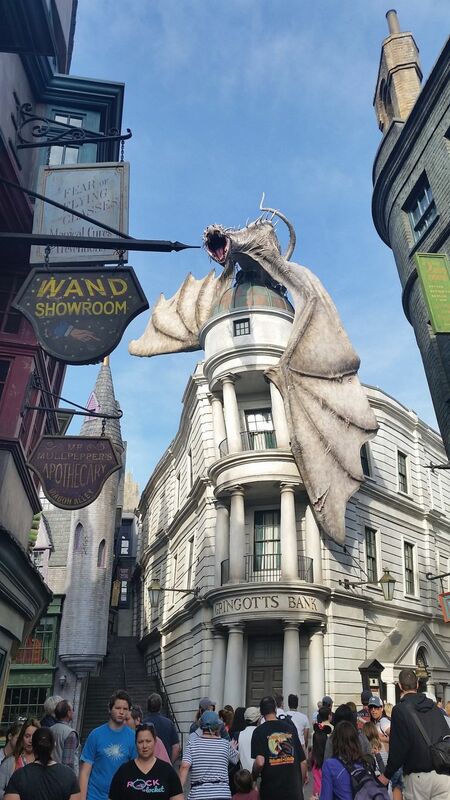 Last time I had a blast, so much that last year I took a couple of vacation days to visit Hogsmead again as well as the then newly opened Diagon Alley extension over in the Universal Studios park next-door. You need a park-to-park admission pass to visit both parks, but that allows you to take the Hogwarts Express between the two parks. For me personally Connect 2016 is a milestone. It will be my 20th Lotusphere/Connect and for the first time I will present a session! This is not a full one hour session, but a new format called Lightning Talk. Those are shorter 20 minute sessions, and not all of them are listed in the session tool on the conference site yet. I think this is a very interesting concept, and I believe it will be successful. I can see myself attending a number of shorter sessions like this to get a good overview of a particular subject, then go on and learn more later. My session is called “Think outside the box” and I will show how you can connect to a Domino backend from a traditional web application and retrieve data in JSON format. This data can then be used to populate fields/values on a page or used in jQuery/Bootstrap plugin like calendars and data tables. This is a version of the presentation I did at MWLUG in Atlanta, but shorter and with some new content added. I hope to see you at Connect 2016 in Orlando, perhaps even at my session. If you haven’t registered yet, it is time to do it now. Stay tuned for more posts here leading up to the conference. In my MWLUG presentation (as well as in a couple of entries on this blog) I talk about how you can access Domino data from a regular webpage using jQuery and a Lotusscript agent returning data as JSON. The issue with this solution is that the web page must be on the same web application path as the Domino agent. You can’t do what’s known as cross-domain Ajax. Below is the updated class (if you downloaded my sample database from MWLUG you have the older version of it). Enjoy! '*** MIME Header to tell browser what kind of data we will return (JSON). Print callbackFunction + "(" + me.GetJSON + ")"